LUT are instanced in SDP/CDP in NVDLA, it’s used to mimic the non-linear functions (Sigmoid/TanH/LRN, etc.) of a network. 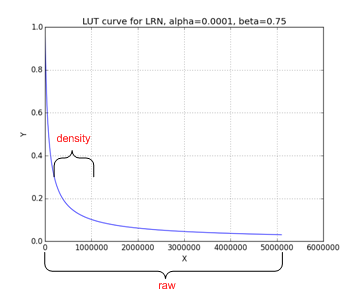 As we know, the LUT precision is highly depends on LUT entries and slope variation of the curve: The more LUT entries, the higher precision. On the other hand, the strong slope variation of the curve, the hard to mimic. It’s worth to mention SDP/CDP shares the same LUT logic, the only difference between them are the bit-depth as SDP pipeline is 32bits but CDP pipeline is 37bits. We can see from figures above, for those functions, only a small portion has significant slope variation and the others portion almost without too much change thus 2 level LUT is an economy option to mimic those functions. 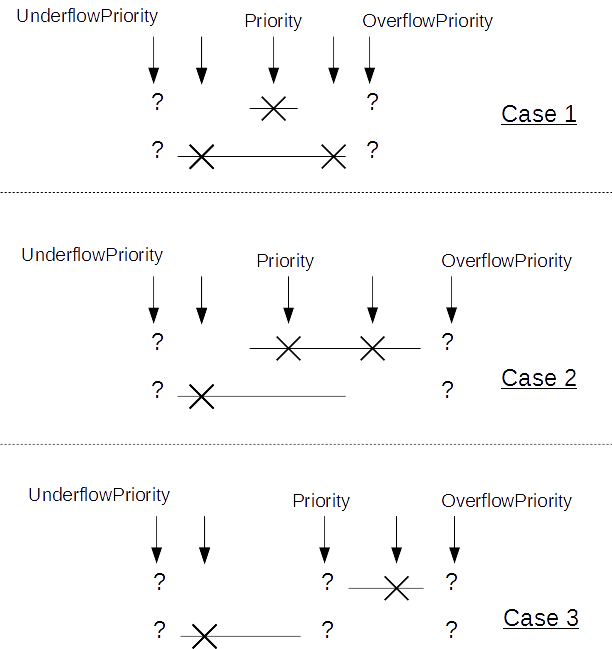 As there might be overlap between density/raw table, we have a programmable register: “priority” (pri) to allow software control which LUT table output should be taken as final output when one sample fits to both tables. Of course, the suggestion is to use density output all the time. Histogram above are collected from “pool1/norm1” layer of GoogleNet, we viewed the same data by different x-axis coordinate system (linear and exponential). As shown in Fig. 33, there’re couple parameters for LUT, let’s discuss how to configure them based on different modes. exp_start is a value related to LUT storage (in our example, we use -32 here) while M is related to upstream convertor setting. This can be guaranteed by the convertor before LUT (cdp_in_cvt in CDP; X/X/Y multiplier in SDP). Suppose one LUT has coverage between [min, max]. If one input sample bigger than max or smaller than min, we call it out-of-range sample. X_END_LOW/HIGH Max*2M Same bits/encoding as the pipeline. If the address beyond the total LUT entry (e.g. : The LUT_RAW_TABLE_ENTRIES in pseudo code above exceed the actual LUT entry), the hardware behavior is undefined. When one hardware layer completes, hardware will report statistics below to help software understand whether the LUT table is reasonably programmed.